German physician, a native of Ulm; lived at Ferrara in the seventeenth and eighteenth centuries. "Kokabi" is the Hebrew equivalent of his German name, "Stern"; in Latin his signature was "Stella." He was the author of a medical work entitled "Toẓe'ot Ḥayyim" (Venice, 1714). 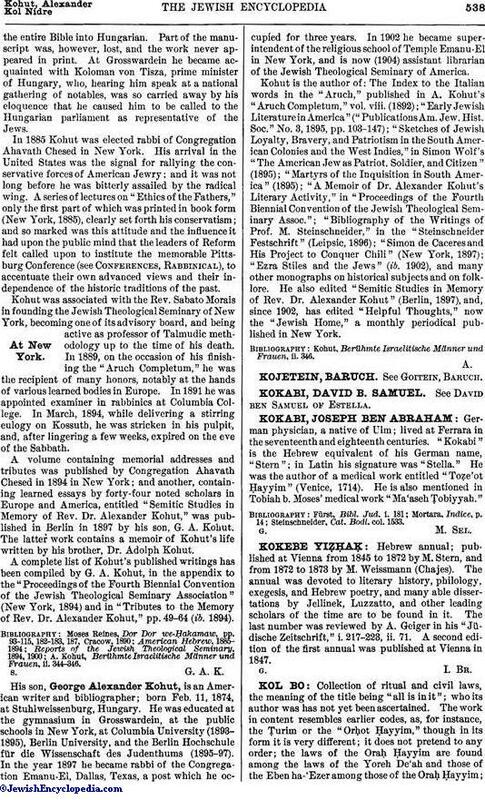 He is also mentioned in Tobiah b. Moses' medical work "Ma'aseh Ṭobiyyah." Steinschneider, Cat. Bodl. col. 1533.